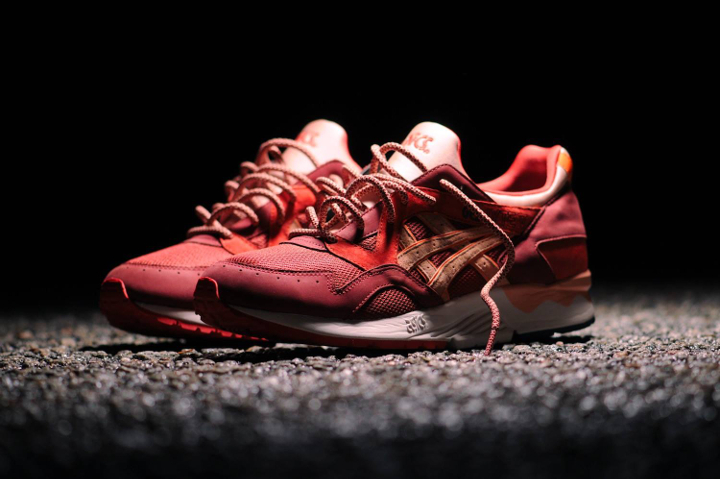 Ronnie Fieg has done some wonderful things with various asics silhouettes. 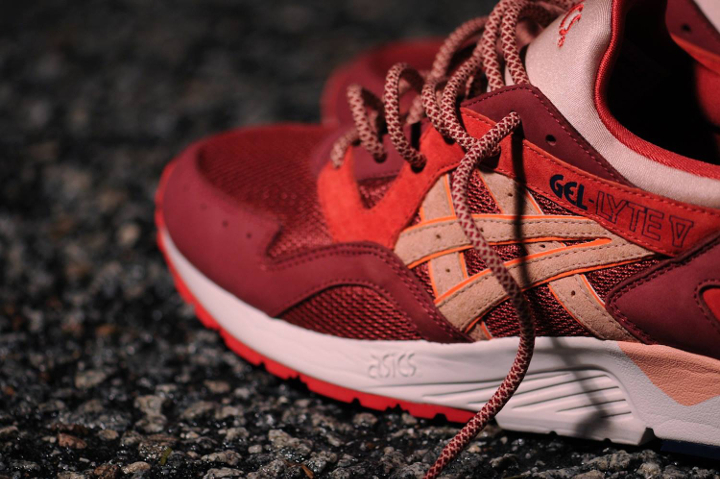 His most recent effort, the ‘Volcano’ Gel Lyte V, will receive a limited UK release this weekend at select retailers. 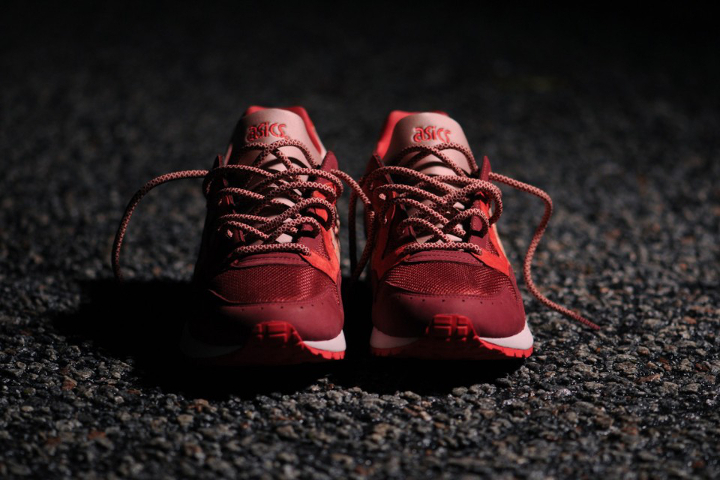 Created to symbolise the growth out of the current ‘active’ status of Fieg’s Kith business and mark its second year, this a fantastic rendition of such a great shape. 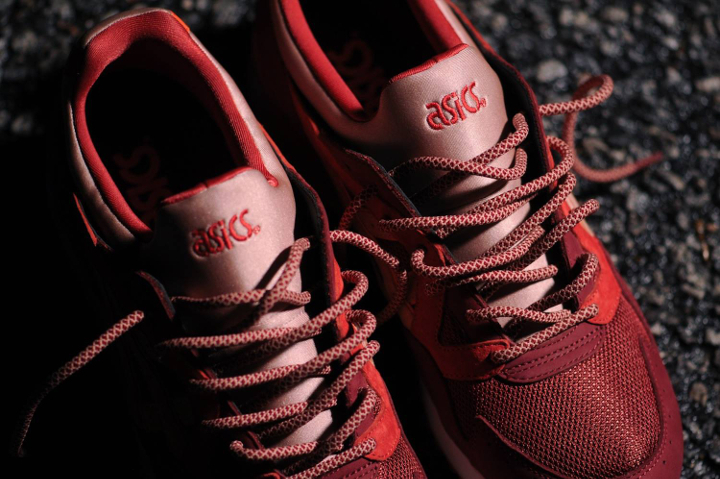 The upper is dressed in a combination of burgundy and red nubuck, mesh and pigskin leather, combined with a pink neoprene tongue and asics branding on the side for a multi-coloured combination that blends together effortlessly. An off-white midsole and navy asics branding on the heel provide the contrast with a think round lace finishing things off nicely. Materials are of the highest quality and the execution is flawless, just as you’d expect. Fieg has a knack for coming up with unique colour and material combinations that are a step away from those you’ll find on traditional asics releases. 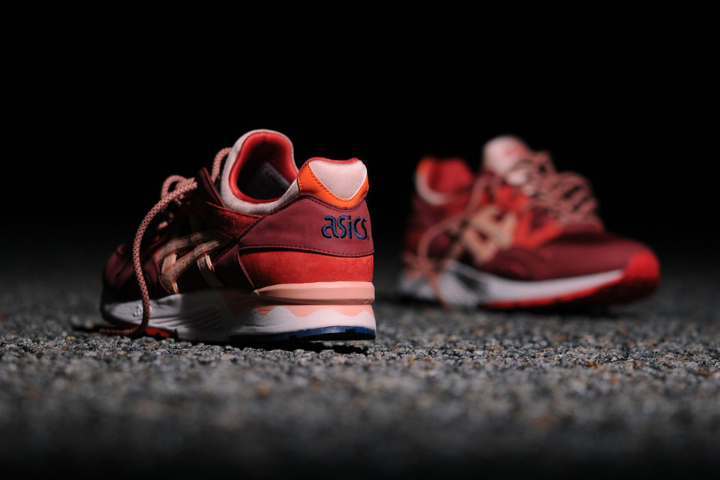 asics have put out some great product recently, but his work is always exceptional. 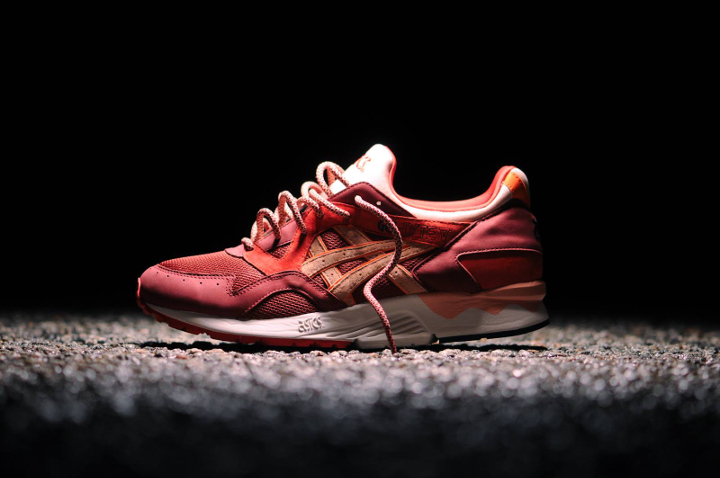 The Ronnie Fieg x asics Gel Lyte V ‘Volcano’ will be available from both Hanon in Aberdeen (10am) and Wellgosh in Leicester (09:30am), in-store only, this Saturday November 16th, priced at £120. Good luck to those braving the cold for their pair!